I hear all kinds of arguments about what’s wrong with schools and the sentiments tend to avoid the keys to what’s essential in the creation of a learning environment: an understanding of “who” the person is who’s being educated. And nothing gets at “who” a child, a student, is more than an educator who respects and appreciates that person’s culture and gives him or her an education that’s rich in the arts. 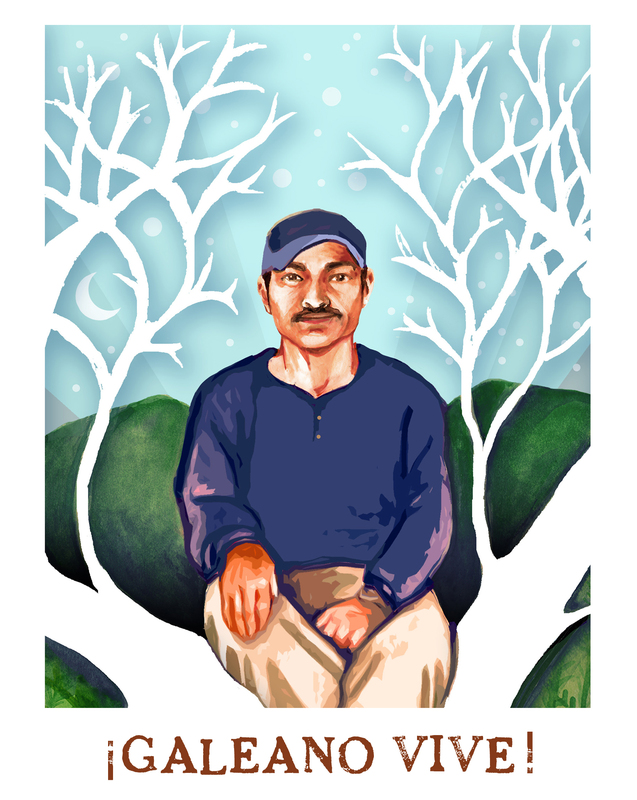 With that being said, on May 2, 2014, a hero of mine, a teacher extraordinaire, Jose Luis Solis Lopez (Galeano), was assassinated at the Zapatista’s “Little School” (La Escuelita), in Chiapas, Mexico. The school was built to celebrate “who” children are and “who” they can become. Their culture is at the core of their school. The arts, drawing, painting, singing, dancing, poetry are interwoven in all that they do, enabling each child to get at what drives them, what they have to offer, how they fit into the scheme of things. I didn’t know Galeano but it’s like I’ve lost a brother because we are companions in a movement. Zapatistas at heart. Shortly after Subcomandante Marcos and his freedom fighters, the EZLN (Zapatista Army of National Liberation), armed themselves against the Mexican government’s mistreatment of indigenous people in 1994, a number of us in San Diego went into action. We put Marcos on stage, in the form of guerrilla theater, via Old Antonio, a character of the ages who is most learned and wise, the soul and conscience of the movement, the teller of the people’s stories and traditions, the sharer to the world of “who” a people are. But evil forces, “who” don’t understand concepts of love, planned and executed a paramilitary attack of unarmed civilians, not only stilling the life of Galeano but also destroying their school and their clinic and ambushing and injuring 15 other people. Since 1994 the Zapatistas have exposed wretches like these, letting us see how they tirelessly attempt to take away a people’s efforts towards becoming self-determining – while the mainstream media lies, telling us, for instance, that the attack in Chiapas was an intra-community confrontation when we know otherwise. Fox-like News is alive throughout the world. But through the efforts of loving human beings like Galeano, the children are already learning that another world is possible in the here and now, a world that can make tomorrow ever so promising. If we join them. That work has to be kept alive. We have to be dignified in our pain and rage against injustices and support struggles for freedom and dignity wherever they might be. If the Mexican government’s aggression against brothers, sisters, teachers-votanes and Zapatista bases of support isn’t stopped we’re all hurt in a sense. “Who” we are becomes irrelevant and our cultures slowly fade away. As first steps to keeping Jose Luis Solis Lopez, our beloved Galeano, alive there will be a “Day of Homage” for him at Chicano Park on Saturday, May 24, 2014. 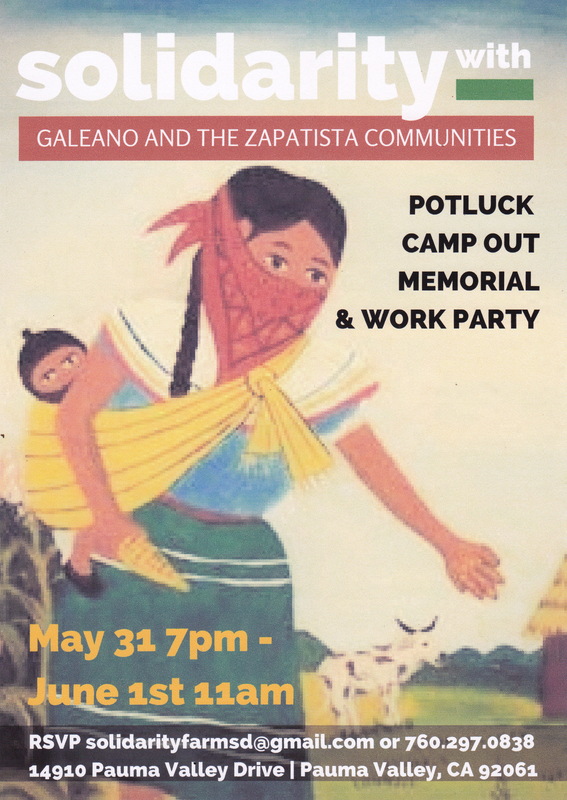 A “Solidarity with Galeano and the Zapatista Communities Potluck Camp Out Memorial and Work Party” will take place Saturday, May 31, 2014, 7:00 PM – June 1, 2014 at 11:00 Am at 14910 Pauma Valley Drive, Pauma Valley, CA 92061. RSVP solidarityfarmsd@gmail.com or phone 760-297-0838.